Kennedy Maciel is a 19 year-old Brazilian Jiu Jitsu prodigy who is known for his explosive quickness and ability to take advantage of the slightest mistake to gain a submission victory. He moved from Brazil to LA in Dec. of 2012, as an avid soccer player, never having trained BJJ. He adroitly adapted and has steadily flourished as he’s ascended up the belt ranks and racks up wins at most every prestigious tournament. 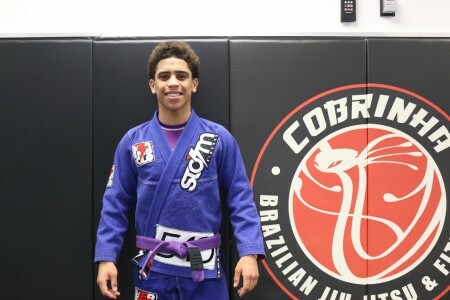 As a second generation athlete, his work ethic is what you might expect from the son of the world renowned Rubens ‘Cobrinha’ Maciel, he trains 7 days a week and most times two to three times per day. His goals outside of BJJ is to finish school with an emphasis on business, and one day be in a position to create a hostel like facility where other Brazilian athletes can come to the states and have a place to stay, train and pursue their goals. 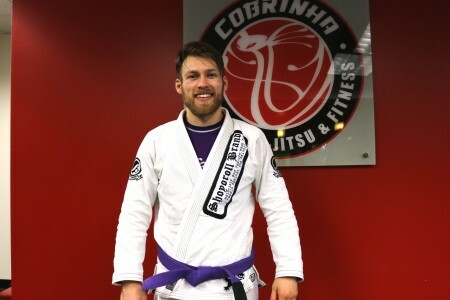 His goals outside of BJJ are to finish school with an emphasis on business, and one day be in a position to create a hostel-like facility where other Brazilian athletes can come to the states and have a place to stay, train and pursue their goals. Kyle ‘The White Wolf’ Cox is a fierce, methodical and technically gifted athlete, whose compassion for others and thirst for knowledge is unparalleled. His aim is to reach the pinnacle of his chosen sport, Brazilian Jiu Jitsu and subsequently make an impression that resonates and inspires the youth of today. Having moved from the epicenter of wholesomeness, Salem, Oregon, he’s acclimated seamlessly due to his tenacious will power, as the egocentric lifestyle of Los Angeles is a formidable foe. His long-term plans include utilizing his athletic accomplishments to help with the creation of a mentoring program to help those from less than favorable conditions, achieve goals they may have seen as attainable. We are not just a barbershop, we are a movement and we thrive on making a positive difference in the lives of others, as well as our community. Our sponsorship program is a direct way to reach out and work with those who may need assistance and who have the will and determination to do great things. We do look at every email, so please submit a proposal. 1. Your complete contact information – name address, phone number, email address, Facebook page, Instagram, website (if applicable). 2. A letter breaking down your goals in your chosen vocation, school or sport, your plans to reach them and how we may help you achieve them. 3. Brief synopsis of how you help or would like to begin helping others in your community. 4. A very clear explanation of what you are looking for in a sponsorship. The content of your proposal is more important to us than presentation and it need not be formal or lengthy (the shorter the better). We’re simply interested in hearing about who you are, what you’ve accomplished, future goals, specific needs/what you want in a sponsorship. Kindly send your sponsorship requests to Info@Legendsthebarbershop.com with SPONSORSHIP in the subject line.